Different foods require different minimum cooking temperatures to be safe. It is important to know the minimum temperature requirements and follow them to be sure you cook foods thoroughly before serving to customers. According to FoodSafety.gov pork and fresh steaks should be cooked to a minimum of 145 degrees while poultry needs to reach 165 degrees. 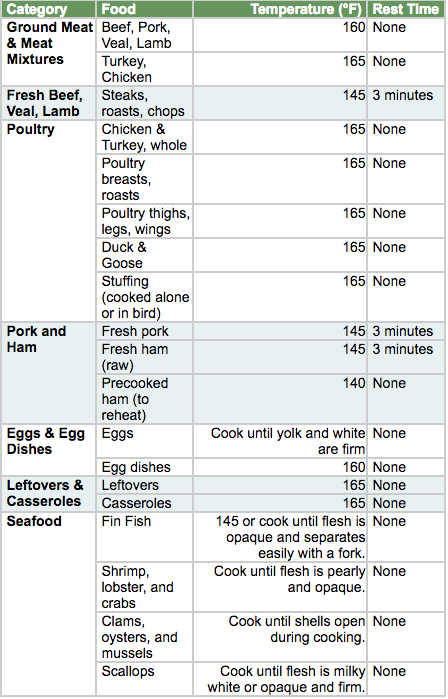 For a full list of foods and temperatures check out their in depth food temperature guide. The only sure way to know if you’ve reached the correct cooking temperature is to follow the guide and to use a food thermometer to get an accurate temperature readout. When storing food for serving throughout service it is important that you follow food safe temperature guidelines. Hot foods must be stored at a minimum of 140 degrees and cold foods must stay under 40 degrees. Food that falls between 40-140 degrees temperature are at a much greater risk for allowing dangerous bacteria to grow and thrive. If your restaurant has food being stored for use during service you need to train staff to do temperature checks throughout the day to be sure food is being stored properly. 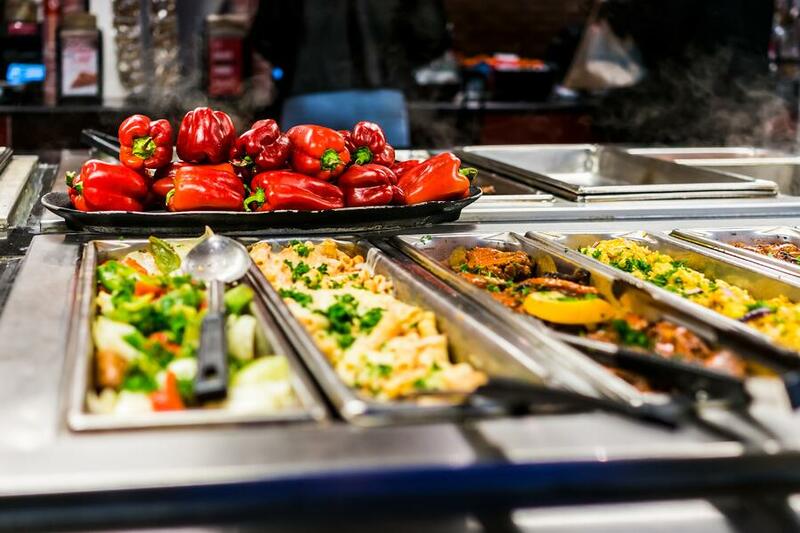 Staff should be trained on the methods for keeping hot food hot, and cold food cold. September is Food Safety Month and a great time to do continued education for your staff on the subject. For more information about food safety and Food Safety Month check out this resource guide provided by the CDC.